I have been meaning to take you with me to visit Bridport for sometime, and share with you their wonderful Vintage Quarter. Historically Bridport was famous for making rope and nets which were used on warships, fishermans boats and for hangman nooses. The making of rope and net still continues here today, but on a smaller scale. There are old winding sheds and early factories, and some of these now been converted into workshops, studios and antique warehouses but this area is now sadly under theat from developers. I remember having a picture similar to this when I was a child. The displays are beautiful - I would love an old dresser like this! It also has a wonderful cafe. They have recently set up an Industrial and Provident Society to try and raise funds to regenerate this area and sustain the development of low cost small businesses. I shall be supporting them in this quest as it is such a lovely and unique place, how awful it would be to lose this. I love vintage! Welcome to my new followers Kate and Franka it's wonderful to link up with others from different countries. I saw Suzy from Rustic Village Country always welcomes new followers. I thought it was a nice touch so I will be doing this in future too! I'm sorry I haven't enough space to individually mention all my 32 followers especially those that have been there from the early days. Thank you and welcome to everyone who regularly pops in to read my ramblings. We have very happy memories of wandering around Bridport dating from the time when we would quite often treat ourselves to weekends away in Lyme Regis, a town which is still a great favourite of ours. We do so hope that the area of Bridport which you write about here will be saved from any unsympathetic development. It is particularly important in today's climate, or so we feel, that small business should be given every encouragement. They are, after all, what gives small towns individuality. What lovely pictures, life looks much quieter there than in Brighton. I love your connection to the place as well - I live in Hove myself! We are so very lucky to live by the sea. I'm discovering so many new blogs today - and it's lovely to visit Bridport. We were going to have a day trip there last weekend (from Winchester) but the rain rather put us off! I've now been able to add to the list of places I want to visit when we get there - Thank You! Hope you enjoy your day out to Bridport when the weather improves! Hi Sarah - I could lose several days in those shops, but I'm always attracted to little cafes like a magnet! It's just as well I don't live as close to it as you do, I don't think I would get as far as Morrisons! looks nice! that is a nice idea to welcome followers, i keep thinking of doing a weekly post on followers blogs or just blogs i love but i never seem to get round to it!! Hi, I came across your blog yesterday and am in the process of working backwards. This post is wonderful, it is a trip down memory lane for me, although I can't quite place the buildings exactly! 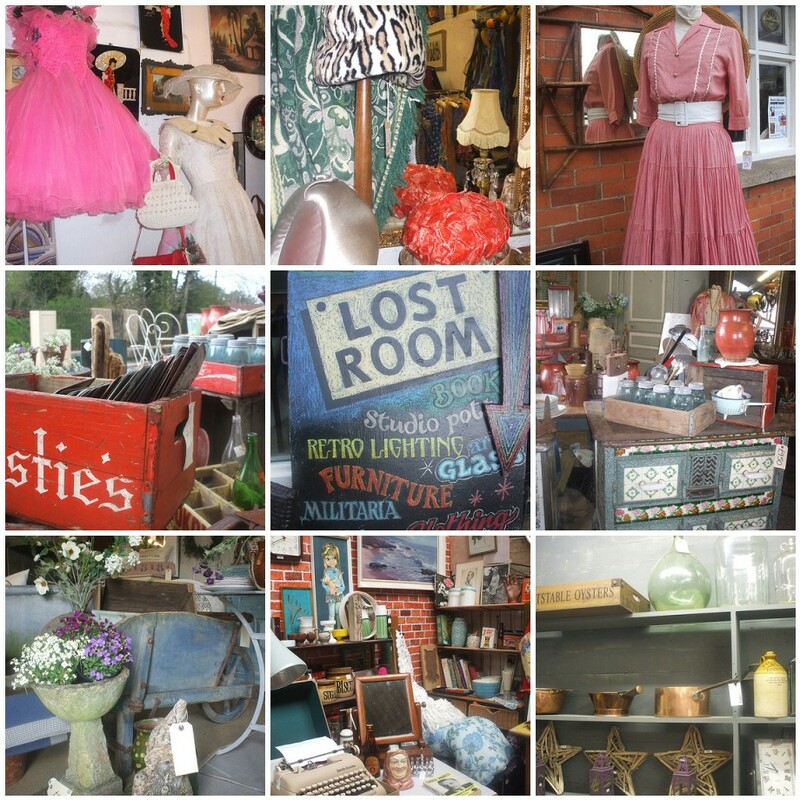 My husband and I had a small business in St Michaels Trading Estate in the 1970's, and my father-in-law traded from Priory Works in Gundry Lane, and to see the area again is absolutely great, especially with its vintage theme - just my sort of thing. We also started off our married life in the ground floor flat of a house that used to be a pub, at the far end of St. Michaels Lane!Thank you so much. I shall look forward to visiting you again.